NPT Thread Size Is Not The Actual Size! The OEM™ Tank Gauge is a perfect solution to be sure your gauge is working the best it can under all weather conditions. Eliminate inaccurate readings due to a sticking or hard to read gauge. The Scully™ Econo-Gauge is a perfect solution to be sure your gauge is working the best it can under all weather conditions. Eliminate inaccurate readings due to a sticking or hard to read gauge. The KING® Combination Fill Alarm and Tank Gauge is a complete factory-assembled unit. Take it out of the box, and it's ready to install. KING® Alarms provide an efficient method for quickly filling tanks to their maximum safe level. When the whistling stops, the correct level has been reached. 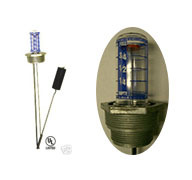 Double Float Tank Gauge for indoor, outdoor and buried tanks. Most accurate gauge of its kind. Reads in GALLONS. Gauges for 275 gallon tanks, 44" deep in stock. 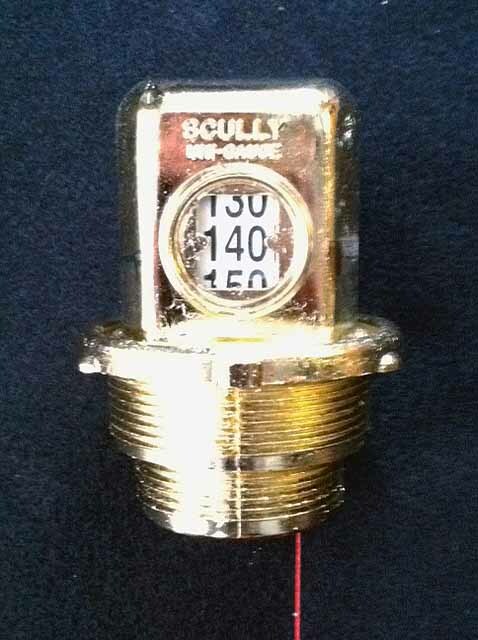 Other gauges for other tank depths available; please call or email for availabilty. 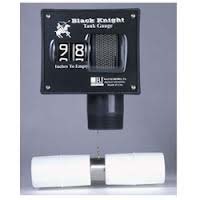 Universal mechanical fluid level string gauge works with any tanks. Two models to choose from. For tanks from 0-160 cm (~63"), or tanks from 0-250 cm (~98"). Customizeable for any tank depth up to 250 cm! Universal mechanical fluid level string gauge works with horizontal or vertical tanks. Reversible scale - easy to read dial face. Jarhead industrial quality tank gauge with highly visible orange indicator, UV inhibitor and large glass four-window display. Includes stainless steel rods with aluminum linkage. Includes a nitrophyl float. The Jarhead Adjustable Tank Gauge is a fluid level gauge that you can customize to the exact length you want, to accurately read just about any size tank. No special order required! The Adjustable Jarhead covers a range of 18" – 72". For use with oil, waste oil, diesel fuel, antifreeze, water and other fluids with a low flash point. The Digital Fluid-Trac™ DFT-110 Drum Level Gauge is a cost competitive non-contact liquid level drum gauge. The gauge allows the user to easily select between the following vertical drum settings: 15, 30, or 55 gallon and 57, 114, or 208 liter. Fits 2" NPT or 3/4" NPS opening.